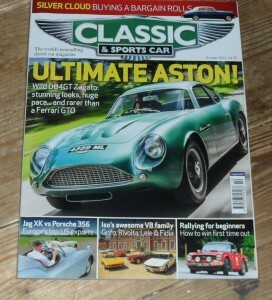 October 2012 of the British Magazine, Classic and Sports Car. 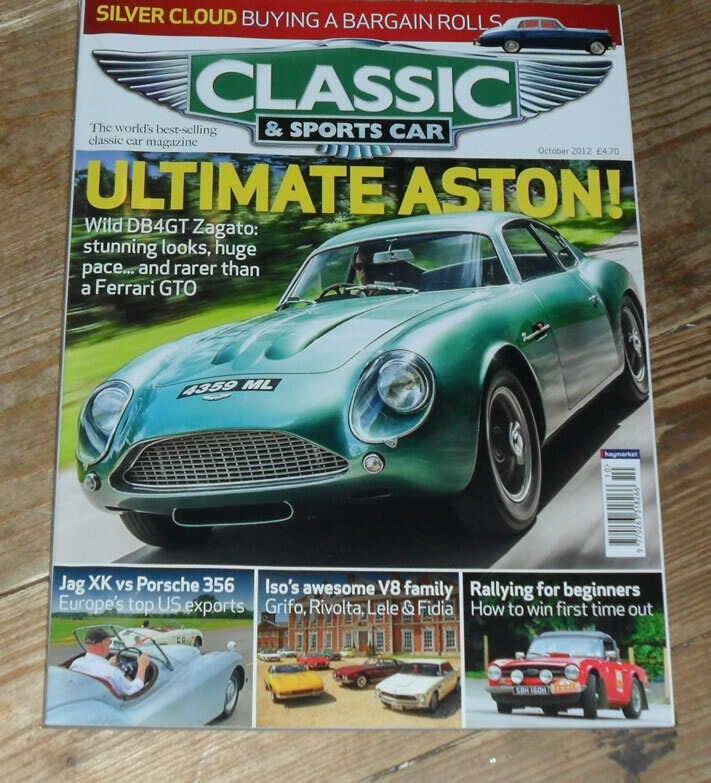 The cover feature of this issue is the Aston Martin DB4 Zagato. Other articles include items on the Iso family of cars, Jaguar XK vs Porsche 356, Rallying for beginners, Alfa Romeo 75, Rolls Royce Silver Cloud and many more.